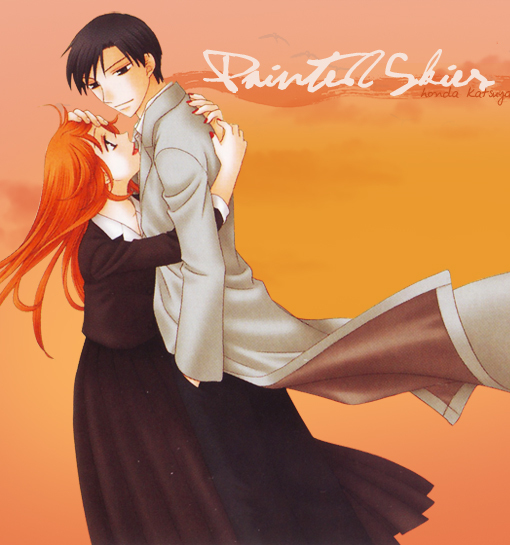 Welcome to Painted Skies, the tafl approved fanlisting of the relationship between Honda Katsuya & Honda Kyouko from the series, Fruits Basket by Takaya Natsuki. Please join if you are a fan of these two. A huge thanks goes to Teri who let me adopt the fanlisting in March 2009, and that also very kindly let me keep her gorgeous layout for a while. Thank you really a lot!! ♥ The relationship between Kyouko and Katsuya is my OTP of the series, and even if their story took only few pages, compared to the lenght of the series, it has been the one who touched and moved me the most. so I am really honoured of being able to take care of its fanlisting know, and Ii will give it the best care I can (hopefully forever ♥)! You are currently viewing the second version of this fanlisting. This site has been tested with Mozilla Firefox 2.0 and 3.0, Opera, and Internet Explorer 7.0; other browsers are unknown. It is compatible with a 1024x768 screen resolution and higher. PAINTED SKIES: part of Akira no tokoro & tafl, 2007 (Teri), 2010 (Akira). Layout and coding by Teri.